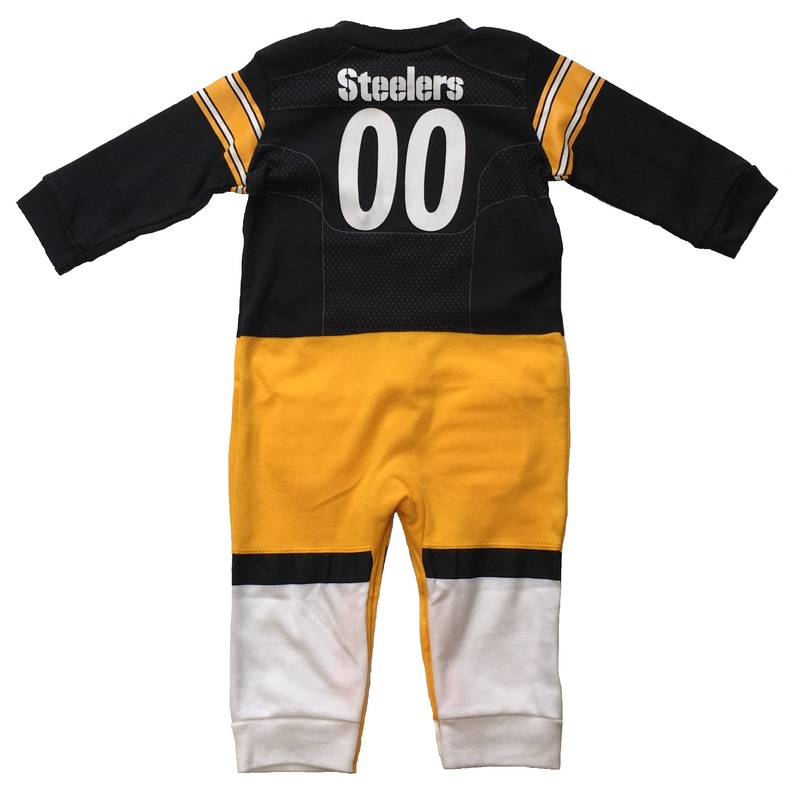 Adorable Baby & Toddler Player Suit is perfect for your little rookie. 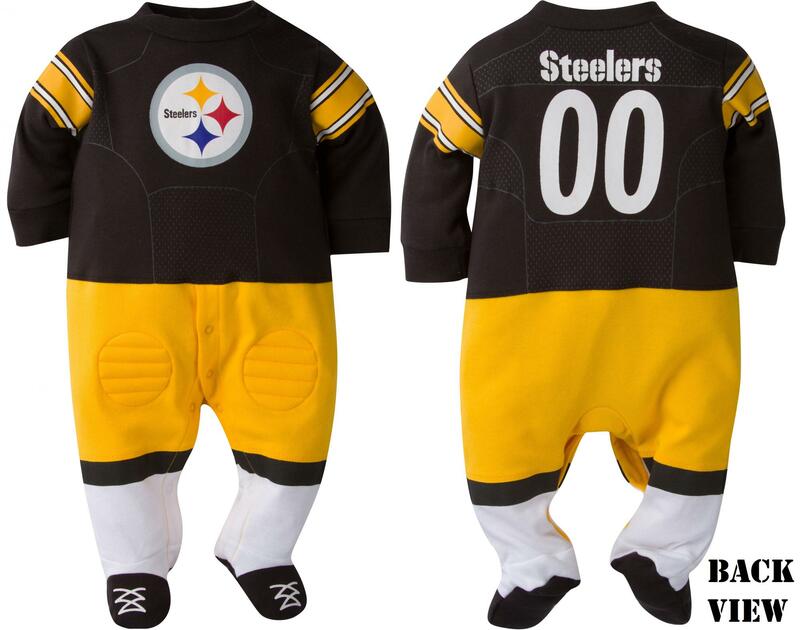 Soft cotton jersey has quilted knees and snap open legs. 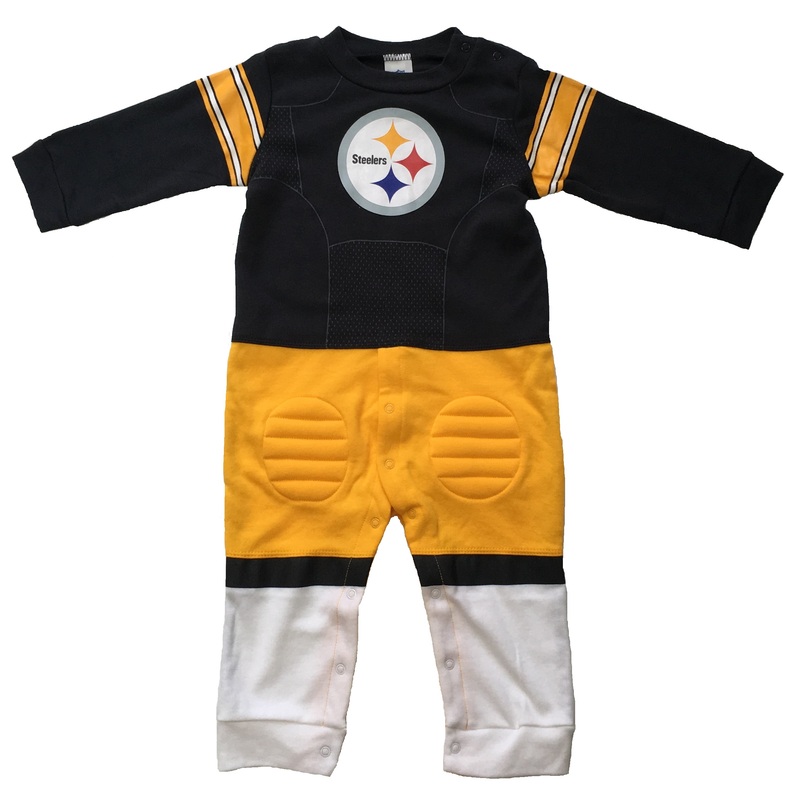 Screen print Steelers logo print & contrast gold legs look like a little uniform. Smaller sizes are footed. 12 & 18 months do not have feet in the pants. Sizes 0-3, 3-6, 6-9, 12 & 18 months. 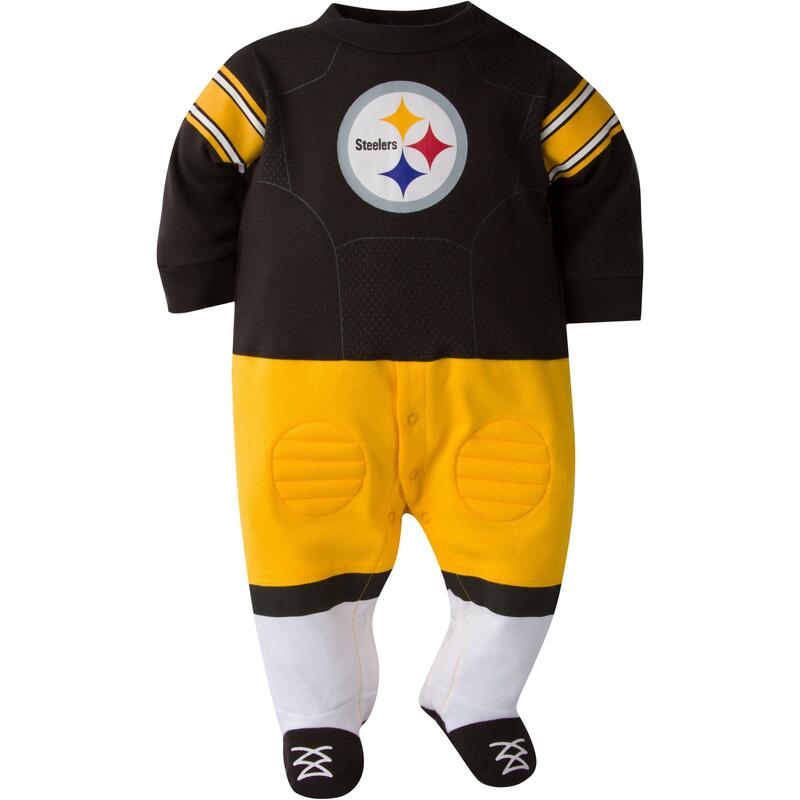 Your Steelers Nation Baby Station. 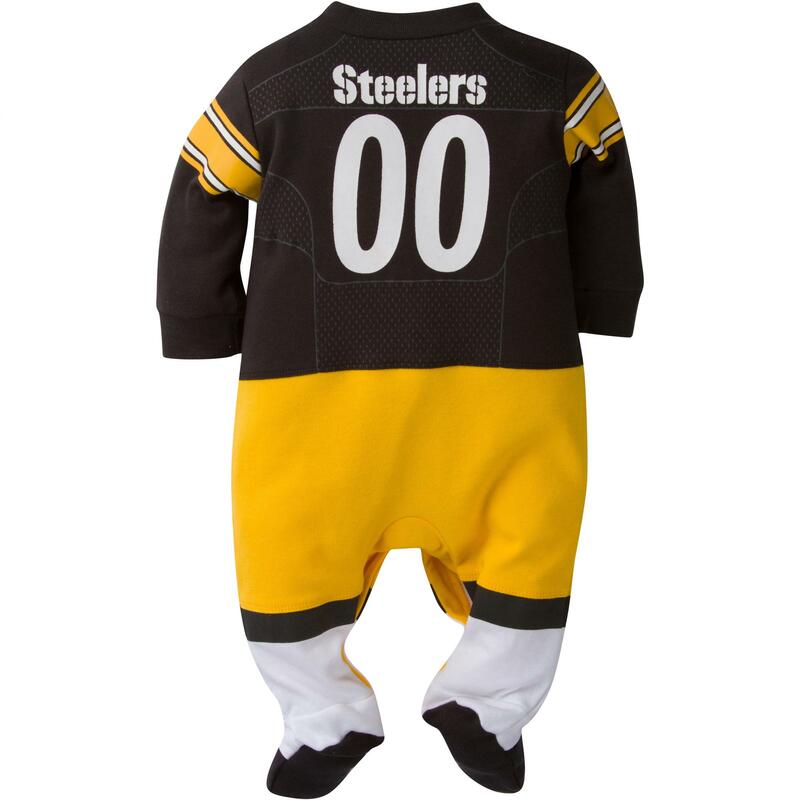 0-3 mos up to 13 lbs up to 24 in. 12 mos 20-23 lbs 30-33 in. 18 mos 23-28 lbs. 33-37 in.